Behind every great product, there is a great man or woman. Ditto for the programming languages. Each programming language was developed by a man/woman who sought to think different. Some made it to the top of the charts while other fell by wayside. Java was supported earlier by Sun Microsystems and now by Oracle, who acquired Sun Microsystems in January 2010. Java is created with mission WORA, “Write Once Run Anywhere” and platform independence of Java is one such keys to its success. Gosling is known for his love of proving “the unknown” and has noted that his favorite irrational number is √2. He has a framed picture of the first 1,000 digits of √2 in his office. Dennis MacAlistair Ritchie, an American computer scientist, created the famous C programming language between 1967 and 1973 while working AT&T Bell labs. Though it is past its heydays, C is still very popular and used extensively in system programming. It’s older than Java but is still popular among old programmers. The C Programming Language is also referred to as K&R C, after its authors and Ritchie was the “R” in K&R C, and commonly known by his username dmr. Dennis Ritchie is also credited for the creation of world famous UNIX operating system with his long-time colleague Ken Thompson. Though not as popular as Microsoft’s Bill Gates or Apple’s Steve Jobs, he is known as the doyen of programming. In fact, he was in news recently when tech celebs wrongly tweeted his obit despite the fact that he died 5 years ago in 2011. Stroustrup began developing C++ in 1978 (then called “C with Classes”), and, in his own words, “invented C++, wrote its early definitions, and produced its first implementation… chose and formulated the design criteria for C++, designed all its major facilities, and was responsible for the processing of extension proposals in the C++ standards committee.” Stroustrup also wrote a textbook for the language, The C++ Programming Language. Guido van Rossum, born 31 January 1956 is a Dutch programmer who is best known as the author of the Python programming language. In the Python community, Van Rossum is known as a “Benevolent Dictator For Life” (BDFL), meaning that he continues to oversee the Python development process, making decisions where necessary. Python is the favorite language of hackers, security researchers, and pentesters because of its structural stability and usefulness in developing exploits and tools. Hackers like it because its syntax is clear and expressive. Python is designed by Guido van Rossum of CWI. You can learn Python with a single image here. Rasmus Lerdorf (born 22 November 1968) is a Greenlandic-Danish programmer. 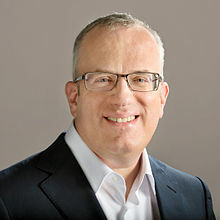 He created the PHP scripting language, authoring the first two versions of the language and participated in the development of later versions led by a group of developers including Jim Winstead (who later created blo.gs), Stig Bakken, Shane Caraveo, Andi Gutmans, and Zeev Suraski. He continues to contribute to the project. PHP is not considered as a programming language but it is used extensively to power the web. PHP was originally created by Lerdorf in 1995. The main implementation of PHP is now produced by The PHP Group and serves as the formal reference to the PHP language. PHP is open source and used by internet giants like Facebook and Wikipedia as well as for CMS like WordPress and Joomla. The full form of PHP is Personal Home Page. 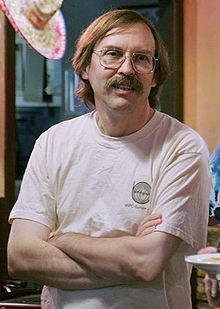 Larry Wall (born September 27, 1954) is a computer programmer and author, most widely known as the creator of the general-purpose, and dynamic programming language. Perl rose to fame because of its excellent text processing capability. It is still the primary language used to develop reports, scripts on UNIX systems. Besides Perl, Wall is the author of the rn Usenet client and the widely used patch program. Wall developed the Perl interpreter and language while working for System Development Corporation, which later became part of Unisys. 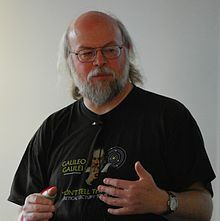 He is the co-author of Programming Perl (often referred to as the Camel Book and published by O’Reilly), which is the definitive resource for Perl programmers; and edited the Perl Cookbook. He then became employed full-time by O’Reilly Media to further develop Perl and write books on the subject. Ruby was first designed and developed in the mid-1990s by Yukihiro “Matz” Matsumoto in Japan. Besides being the chief designer of the Ruby programming language he also developed its reference implementation, Matz’s Ruby Interpreter (MRI). His demeanor has brought about a motto in the Ruby community: “Matz is nice and so we are nice,” commonly abbreviated as MINASWAN. Ruby is influenced by Perl, Ada, Lisp and Smalltalk and designed for productive and enjoyable programming. Ruby is mostly used for web application development and used by major websites like Twitter, Hulu and Groupon. 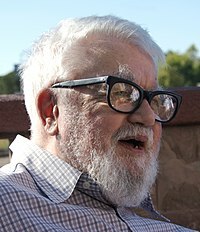 John McCarthy is credited with developing the second oldest high-level programming language, Lisp. Lisp stands for List processor. Besides developing Lisp, he coined the now famous term “artificial intelligence” (AI). 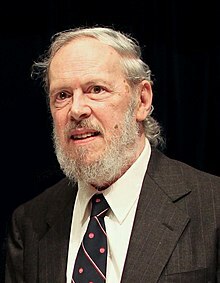 He also developed the Lisp programming language family, significantly influenced the design of the ALGOL programming language, popularized timesharing, and was very influential in the early development of AI. Niklaus Emil Wirth (born 15 February 1934) is a Swiss computer scientist, best known for designing Pascal programming laanguage, and for pioneering several classic topics in software engineering. Wirth was also the chief designer of the programming languages Euler, Algol W, Modula, Modula-2, Oberon, Oberon-2, and Oberon-07. He was also a major part of the design and implementation team for the Lilith and Oberon operating systems, and for the Lola digital hardware design and simulation system.